Fall is here. Halloween is right around the corner. What is synonymous with Halloween? Pumpkins! 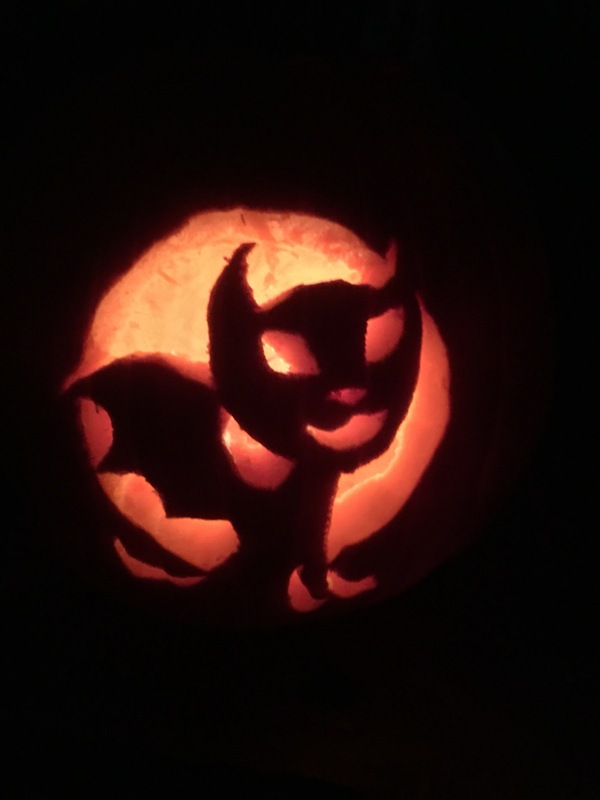 I sat down tonight to carve my first jack-o-lantern and looked forward to eating the seeds the whole time. I can’t believe how many people I talk to who have not tried pumpkin seeds. I put a little twist on mine. I make garlic pumpkin seeds. Pumpkin seeds, in general, are pretty easy to bake in the oven. I do not promise they are healthy, but they are yummy! All you need is fresh garlic, real butter, a little sea salt, and, of course, fresh pumpkin seeds. Separate the seeds from the rest of the pumpkin guts and place in a small bowl. Press about 4-8 cloves of garlic into the bowl. I like lots of garlic so I tend to use 7-8 cloves. It also depends on how many seeds you have. Stir the garlic into the seeds (the seeds should still be slightly damp). Preheat the oven to 350 degrees. Spread the seeds out onto a cookie sheet. Try to make it as much of a single layer as possible. Sprinkle a slight dusting of sea salt over the seeds. Cut small slivers off of two tablespoons of butter and spread out over the seeds. Put in the over for 10 minutes. Remove the cookie sheet, stir the seeds, cut small slivers off of another two tablespoons of butter and spread out again over the seeds. Place in the over for another 10 minutes. Remove and stir again. Be sure to mix the seeds well and spread out again into a single layer. Cook for another 10 minutes. The seeds should now be a golden brown. Remove, stir one last time, and enjoy!